Patience is one of the most overlooked attributes of a successful trader. But it is one of the most important for generating profits. Trading well means entering the market at the right time. To wait for the right timing, you need to be patient. Patience is not about doing nothing. It’s about doing the right thing at the right time. And that is exactly what traders need to succeed. Why Do You Need Patience To Trade Well? Here are four reasons why you should learn to be patient in the market. As a trader, your top priority is to take trades that offer positive expectancy. Trading setups that produce profits on average. However, markets are largely efficient. This means that making money from the market cannot be easy. And trading setups that offer positive expectancy are fleeting. Faced with such challenging odds, what would a logical trader do? Wait for the best trading setups to lead you into the market. Wait for trades with positive expectancy. Different trading strategies exploit different market behaviours. When the market is not aligned with your trading method, impatience will kill you. You must hold your horses until the market is ready for your trading style. Most traders want to enter the market now. But now is often not the best time. It’s no wonder that most traders lose. All of man’s misfortune comes from one thing, which is not knowing how to sit quietly in a room. You must avoid overtrading. It will ruin your trading account. A patient trader will not overtrade. Overtrading is often caused by revenge trading. Revenge trading is trading with the aim of earning back your previous losses. In other words, you cannot wait to recoup your losses. You are impatient to make your money back now. While impatient traders who seek revenge go bust, a patient trader waits to win another day. If you adopt any form of discretion in your trading, this applies to you. Discretionary traders need to keep track of when they exercise their discretion. This is the key to understanding how your discretion impacts your trading results. To do so, you need to know if you are making a discretionary or impulsive trading decision. Most new traders cannot tell if they are acting on their trading instinct or impulse. If you answer no to all three questions, you were most likely relying on your market intuition. And a patient trader can easily answer no to the question of boredom. Now, let’s take a step back to look at the larger picture. Patience is not only important for individual trades; it is also crucial in the larger context. Most traders give up before they are profitable. The reason is that they are impatient with their progress. A patient trader will recognise that you do not acquire trading skills overnight. A patient trader is more aware of small improvements and allows more time to progress. As a result, a patient trader is more gritty and more likely to succeed. How Do You Become A More Patient Trader? Now that you understand the advantages of being a patient trader, here are some tips to get you started. The first step to becoming a patient trader is to figure out why you are impatient. A common reason is that you do not trust your trading plan. When you don’t trust your trading plan, you will second guess it. You will start to think that your method is causing you to miss good trades. As a result, you will find it hard to exercise the patience your trading plan requires. Read and re-read your trading plan. You need to understand that no trading plan is designed to catch every market turn. Recognise that waiting is part of the plan. We are not used to doing nothing, especially at work. We are brought up thinking that we get paid according to how much we do. As a result, we cannot stay still. This action mindset is deeply ingrained in us. To change this mindset, you need to learn to be patient in all aspects of your life. For example, your friend is running late, and you are getting impatient. Recognise that you cannot do anything about it. Waiting is the best course of action for the situation and your mental well-being. The same logic applies to trading. 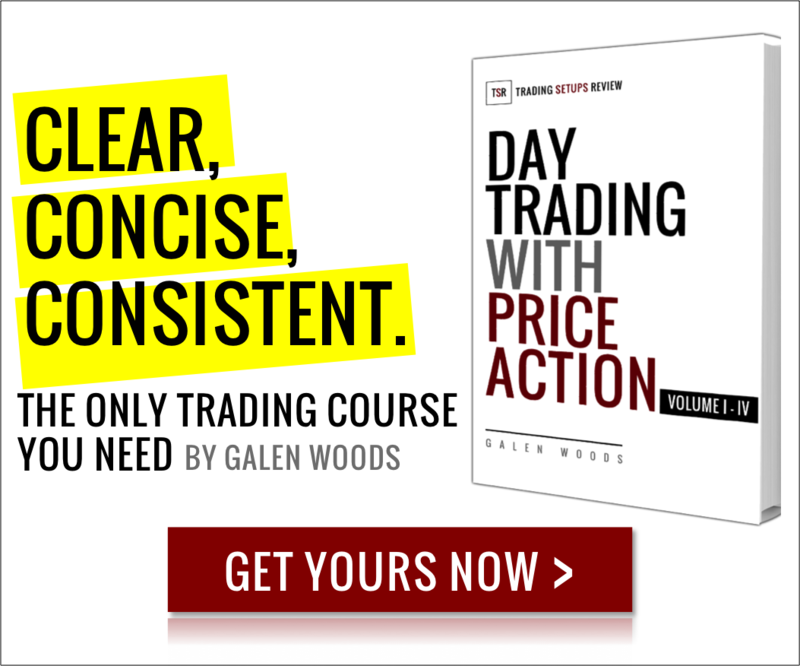 You’ve not taken a trade the entire day, and you’re getting impatient. But remember, the market price action decides if there is a trading setup. Since you cannot control how the market moves, you need to recognise that you cannot do anything about it. Waiting patiently is the best course of action. In a nutshell, a patient trader is a patient person. Learn to be patient in your life, not just in front of your trading computer. You might have noticed that when you are impatient, you take short and shallow breaths. It shows that your mind is running wild and impatience has set in. Taking deep breaths re-centers your thoughts. It helps you to recognise the market situation you are in. Over time, this increased sense of awareness will make you a better trader. For more tips to deal with the physical symptoms of impatience, refer to this article. As you try to be patient, there is a risk of confusing patience with stubbornness. Patience is helpful, but stubbornness is not. For example, a patient trader allows his trade to pan out according to plan. A stubborn trader stays in a trade despite warning signals. Outwardly, both traders are waiting and not interfering with the trade. Hence, it’s hard to distinguish them. Indeed, outsiders cannot tell apart a patient trader from a stubborn one. 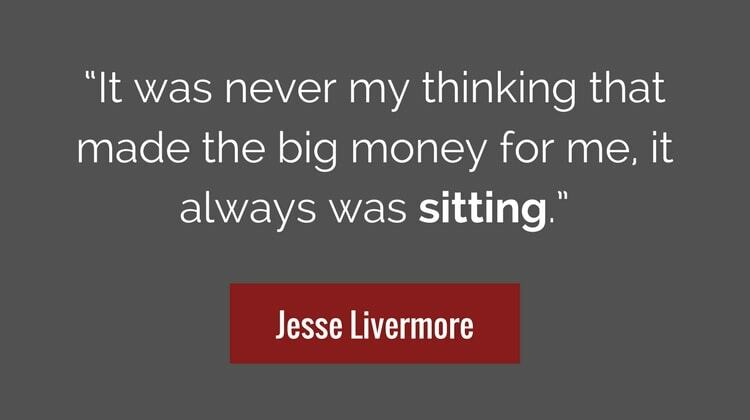 Luckily, with introspection, a trader can judge his or her motive for waiting. Patience comes with a sense of calmness and confidence. You know you are doing the right thing. Thus, there is no need to justify excessively. On the other hand, stubbornness often comes with anxiety and over-justification. When you find yourself trying too hard to explain what you are doing, you are being stubborn. Patience is a trader’s virtue. It’s an important lesson. Being able to do nothing while waiting for the best setups gives you a huge advantage. Being able to wait while your account compounds slowly gives you the best shot at long term success. As a trader, doing nothing at the right time is the best thing you can do. Thanks! Very true, I’ve learnt many life lessons from my trading experience. Outstanding article. Patience is a learning process….. This is a very good advice. It’s exactly talking about me. Glad you like it! Patience is something we can only learn from experience.